The Verrerie Renaut et Cie was created in 1764 in the small village of Baccarat. Providing housing for some seventy artisans and their families, the factory restricted its initial production to flat glass for windowpanes and mirrors, and to the production of white glass à la Bohême. 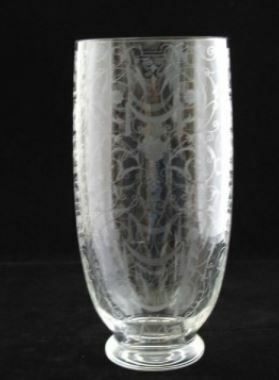 While the Renaut works provided a French alternative to the Bohemian imports, another famed French glassworks, Saint-Louis (founded in 1767 and still in existence in the 1990s), was bringing the production of a relatively new type of glass, lead crystal, to France. Modern lead crystal originated in England toward the end of the 17th century. The depletion of the English forests–in part to feed the furnaces of the kingdom’s glassworks–had led to a ban, in 1615, on the use of wood as fuel. Coal was substituted; however, coal produced lower temperatures than wood, lengthening the fusion of the materials used to create crystal glass. 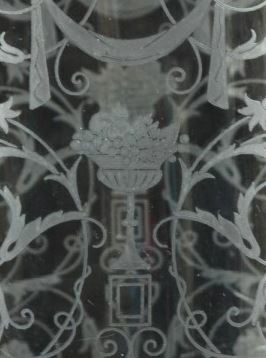 This problem found a solution in the 1670s, when George Ravenscroft discovered that, by replacing the calcium oxide traditionally used in glassmaking, as well as some of the silica (sand) derived from quartz, with lead oxide, the resulting glass not only melted at lower temperatures, but also proved easier to cut and engrave, while producing a clearer, more luminous finished product. 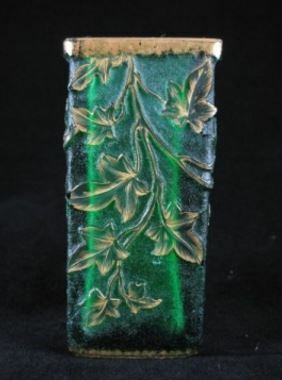 While 20th-century analysis would lead to the discovery that lead oxide had been an ingredient in glass pieces from the ancient Babylonian and later Chinese Han Dynasty eras, Ravenscroft continued to be credited with the inauguration of the modern lead crystal era. Lead crystal only gradually imposed itself on the glass market over the next century. 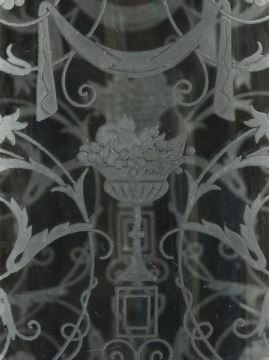 The glassworks at Baccarat continued to cling to the production of windowpanes and Bohemian-style white glass–responding to the need for the former and the consumer preference for the latter. By the beginning of the 19th century, however, lead crystal had supplanted the crystal glass of Bohemia and Venice as the glass of choice. At the same time, the French Revolution, the rise of Napoleon, and a fresh series of wars, combined not only to ruin the Bohemian glass production abroad, but to threaten the existence of the Baccarat glassworks. In 1816, the factory was bought by Aime-Gabriel D’Artigues. 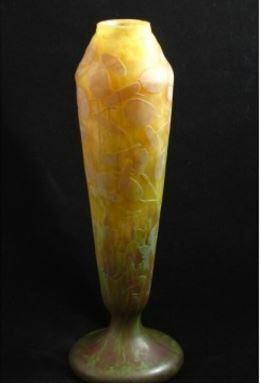 Formerly director of the Saint-Louis glassworks (which had already begun lead crystal production in the early 1780s), D’Artigues had left France for Belgium, then under French rule, operating the Cristallerie de Vonêche. With Napoleon Bonaparte’s defeat at the Battle of Waterloo in 1815, and the resulting Belgium independence, D’Artigues was forced to return to France. Installing his glassworks at the Baccarat plant, which was renamed the Verrerie de Vonêche à Baccarat, D’Artigues converted production entirely to lead crystal. The Baccarat glassworks began crafting crystal tableware and objets d’art, while adding a level of design that would bring the company to international fame. Already in 1819, the company’s clientele featured among the European royalty. 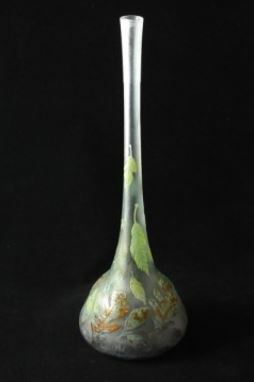 The Baccarat glassworks would achieve a reputation not only for its design excellence, but also for its continued refinement of lead crystal materials and techniques. 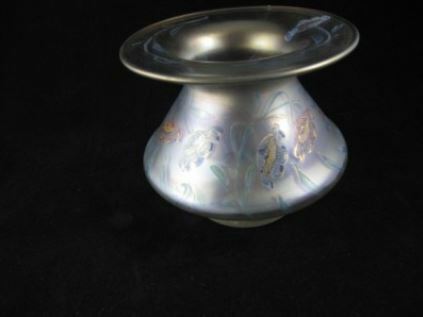 Under D’Artigues, the glassworks had rapidly caught up with the level of quality produced by the prominent lead crystal makers in England, as well as by Saint-Louis. After D’Artigues sold the glassworks to his partners, the factory, especially under Pierre Antoine Godard, began a pursuit of “perfection” that would raise Baccarat to the peak of the craft. The glassworks name was changed to Société de Cristallerie de Vonêche-Baccarat in 1824; soon after, the name was changed again, to Compagnie des Cristalleries de Baccarat–which the company would keep until 1994, until the name was changed simply to Baccarat. Over the previous 150 years, the name Baccarat had become synonymous with crystal.